Jay is a co-founder and managing partner of O2 Investment Partners, and a member of the firm’s Investment Committee.Jay is a Managing Partner of O2 Investment Partners. He is a seasoned executive with more than 20 years of private equity, corporate development and operating management experience. He has extensive acquisition, divestiture and investment experience in a variety manufacturing, manufacturing technology, logistics and distribution businesses located the U.S., Canada, Mexico, France, Germany and Italy. Jay has also served in executive management roles for manufacturing and distribution businesses, including COO and CFO for both public and privately held companies with operations in North America, Europe, Asia and Australia and revenues ranging from $100 million to more than $450 million. Jay serves on the Board of Directors (Chairman of Audit Committee) of Flagstar Bank (NYSE: FBC). 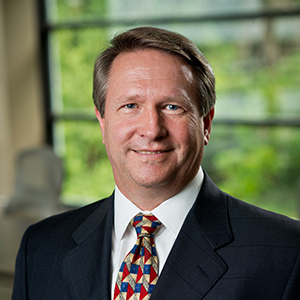 In addition, Jay serves as a Director on the boards of O2’s portfolio businesses, Alpha Precision Group (Chairman), O2 Specialty Manufacturing (Chairman), Packaging Concepts & Design (Chairman), MHC Software (Chairman), EMEX, NTI Connect, and former Board Member of Greco Aluminum Railings. Jay is a graduate of The Wharton School of Finance and Commerce at the University of Pennsylvania.